Turquoise Holiday Decorations ~ A neutral living room becomes playful thanks to an eye-catching candelabra and ornaments. 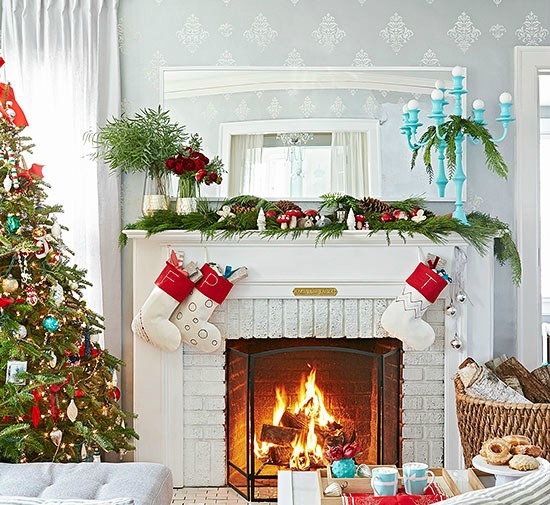 The mantel is accentuated with a fresh evergreen garland along with whimsical trinkets like miniature gnomes, red mushrooms, and mice. Gray Christmas Decorations ~ A large chalkboard calendar makes counting down until Christmas easy. 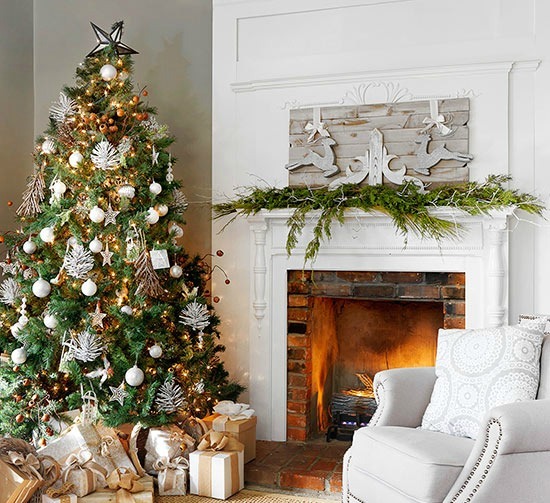 Two bright white trees, which get added height from galvanized tub stands, balance out the gray tones of the rest of the room. Wreath and Ribbon Garland ~ Year-round red accents in the living room make decorating for Christmas super easy! When holiday time comes, just add stockings that match the throw pillows, hang a few wreaths with some red ribbon, and remember the tree, of course. 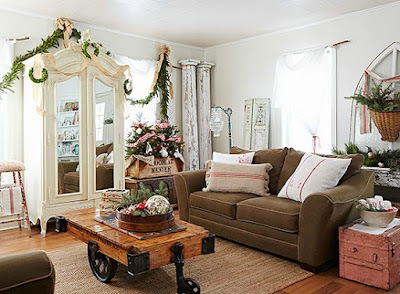 French Country-Inspired Christmas Decor ~ Homeowner Lynn Eastin's sophisticated Christmas living room is filled with mirrored surfaces reflecting the soft glow put of the tree's string lights. A vase of tulips, potted paperwhites on the mantel, sequin pillows, and a wreath hung on the fireplace mirror contribute to the understated elegance of the nature-inspired space. 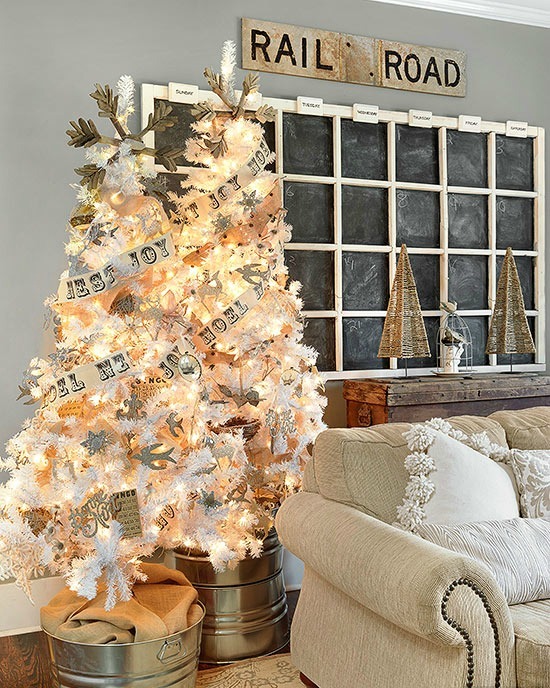 Festive Bar Cart Idea ~ Keep a gold bar cart stocked and ready for seasonal entertaining in a Christmas living room full of warm and inviting accents. 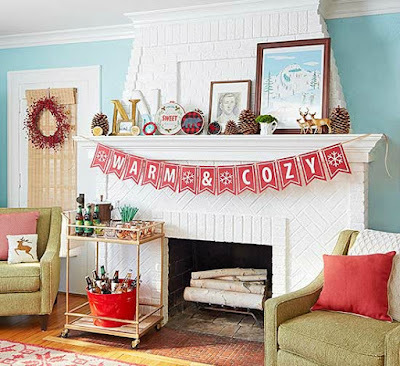 A large red banner spells out the mood while fleece and flannel fabrics in embroidery hoops on the mantel reinforce the cozy atmosphere. 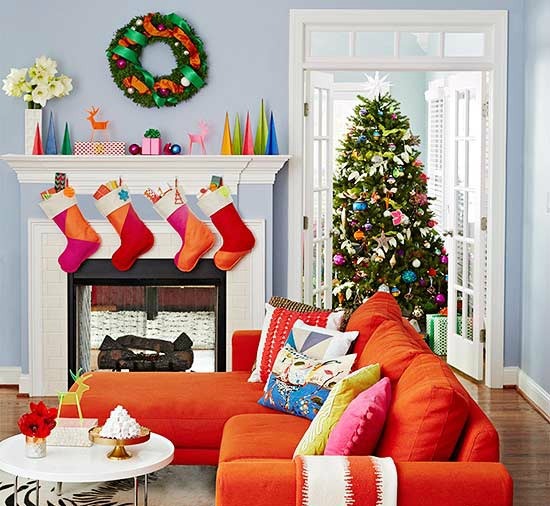 Striking Holiday Decor ~ Everything about this cheery room -- eye-catching stockings, vibrant tree ornaments, and bright holiday figurines -- complement the existing orange sofa and pink, blue, and yellow pillows. 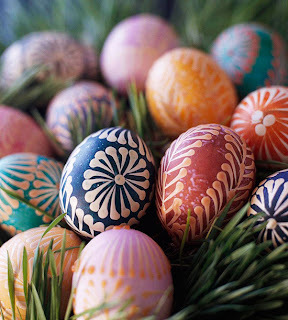 Even a holiday wreath above the fireplace is adorned with colorful ribbons. 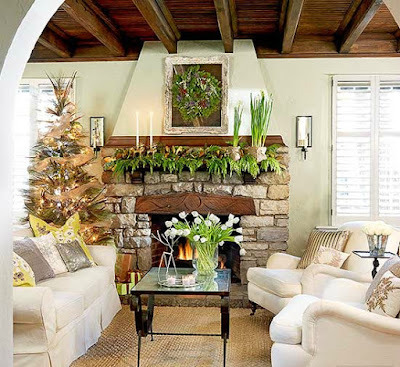 Gorgeous Christmas Greenery ~ Here's proof that Christmas decorating doesn't have to be over the top. A simple but matching tree, garland, and wreath dress up this living room with minimal effort. 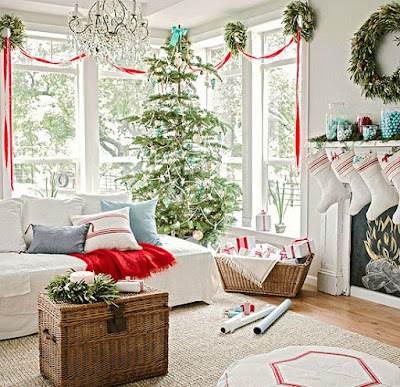 Pretty Pom-Pom Garland Idea ~ A Christmas living room with clean lines and patterns craves a tree with some spontaneity. 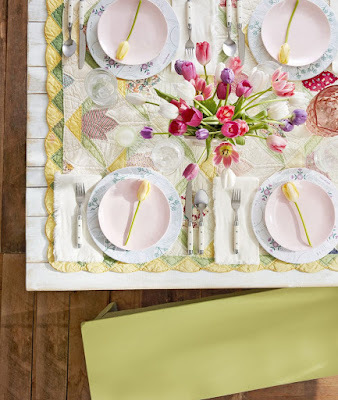 Add texture with a pretty pom-pom garland. Silver Christmas Tree ~ Bold silver ornaments on this Christmas tree match the subtle silver reindeer leaping over the mantel. 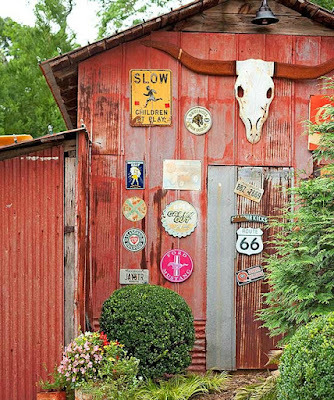 Vintage-Inspired Christmas Decor ~ Holiday decorating doesn't need to be overdone. 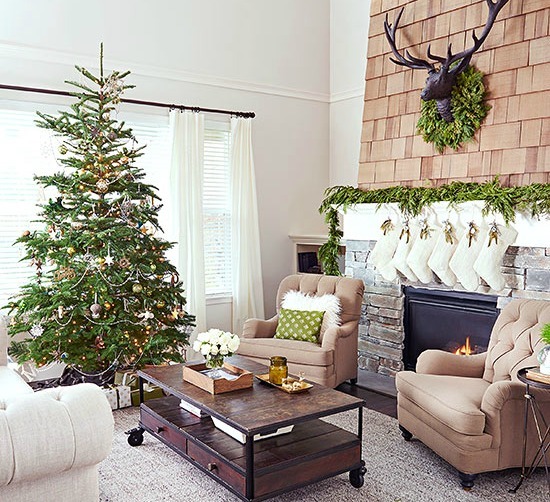 Michigan-born Maria Marcusse adds hints of red and green to her already weathered-looking living room to give it a classic Christmas feel.